Once you are registered, you can start editing existing pages, creating new ones, and move/delete obsolete pages. The pages you are allowed to edit depends on your editorial level. This guide provides basic instructions on how to use the MediaWiki format. If you require more help, use this Help or contact us. The quickest way to figure out how to do something is to find and example of what you want to do from another page, or on Wikipedia, and copy the source code from there. Once logged in to your account, you can edit most of the wiki pages by clicking on "edit" at the top of the page (figure 1). To edit text, you can get started right away. Once you click that "edit" button, just find the section you want to edit and type normally to add useful information or expand on a topic. If you want to add a new section, format something, or add a poll or an image, use the remainder of this page as a reference. You don't need to know everything right away--Just jump in. You can always refer back to this page later on. Word-ending links, following so called "link trail rules"
To insert an image into an article (For a LiPD file, use this page), click on the "Upload file" button in the lefthand menu (Figure 2). 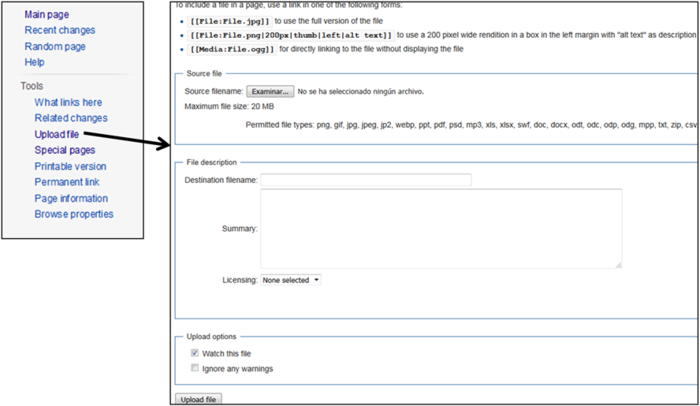 Figure 2: uploading an image or document to the Linked Earth wiki. First select the document you want to upload, then just hit the "Upload file" button at the bottom of the page. Be Specific in the name file: If you wish to upload a picture of your archive, do NOT name the file 'MyArchive.jpg'. 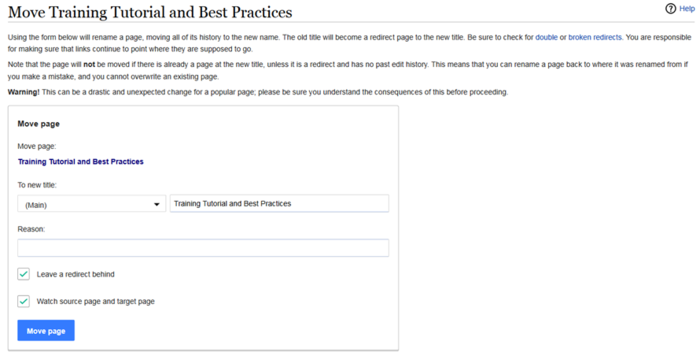 Read the Best Practices guide to learn how to properly name your file. This file can then be referenced using an internal link described above. Tables and equations are more complicated. For a more thorough explanation, see Wikipedia's pages on formulas and tables. All references consist of a citation and an actual reference. The citation is a tag that contains a shorthand form of the reference, and is followed, on first use in an article, by the completed reference. Nuclides are readily expressed using the SimpleNuclide2 extension. See NuclideExamples. Are you a LinkedEarth member? There was one vote since the poll was created on 15:07, 23 September 2016. Use different questions/answer for polls on the wiki. Otherwise, the system would automatically vote for all of the polls containing the same question. So be very specific if you need to be! However, if you think a poll can apply to multiple pages, you can copy and paste the same poll on multiple pages. 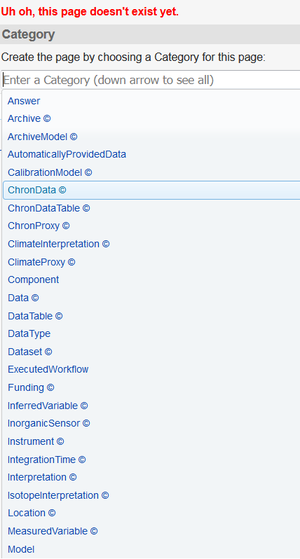 For instance, if you create a poll on a common nomenclature for expressing d18O on the Speleothem working group, the same poll can be posted on the Marine Sediment, MARPA, Ice Core working group pages. Editing an exiting poll will reset the votes. If you need to edit a poll, make sure you keep the results of the previous poll. Are you a recent LinkedEarth member? This poll was edited by ~~~~ and had 2 No and 1 Yes answer before editing. There were 0 votes since the poll was created on 13:52, 18 October 2016. This poll was edited by Deborah Khider (talk) 13:53, 18 October 2016 (PDT) and had 2 No and 1 Yes answer before editing. To create a new page, type the link into your browser: http://wiki.linked.earth/New_Page and replace "New Page" above by the name that you want for the page. Alternatively, you can search for the page you are looking for (remember that the wiki is case sensitive). If the page does not exist, you will be prompted to create it. You should always try to look for the term you want to define before creating a new page to avoid duplicate pages of similar concepts. 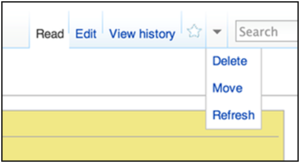 Go to the page you want to delete and select "Delete" from the drop down menu as shown in Figure 4. Click on the "Delete" link, and delete the page. You will be prompted to give a reason for the deletion. You will be prompted to enter the new name for the page and a reason for the change. Figure 7: Moving a wiki page form. This page was last modified on 29 June 2017, at 10:35.